There are times when self-motivation is difficult. I tend to dig into my reserves to help me through those times. What are my reserves and how do I fill them? I started giving my daughter notes in her lunchbox after reading your story. I got this note back from her. 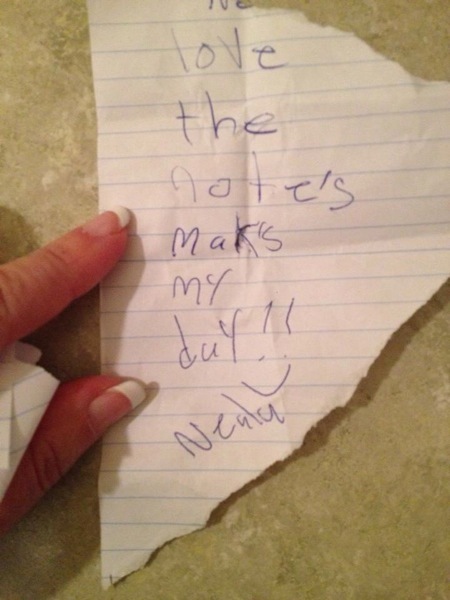 "Love the notes, makes my day!" This message warmed my heart and will motivate me for days. It lets me know that Napkin Notes are an important part of connecting with your kids. We're helping, one family at a time.